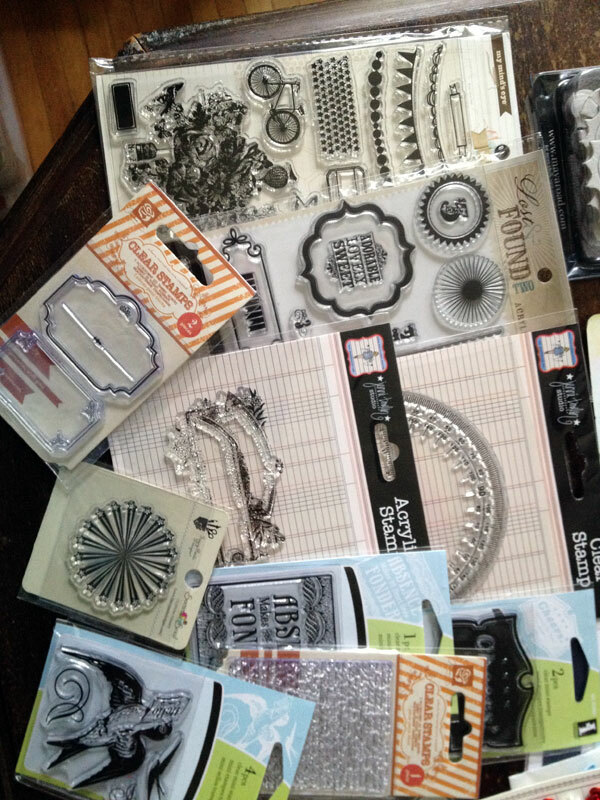 I think we all suffer from this same sickness to a certain degree: the addiction of buying scrapbooking supplies. 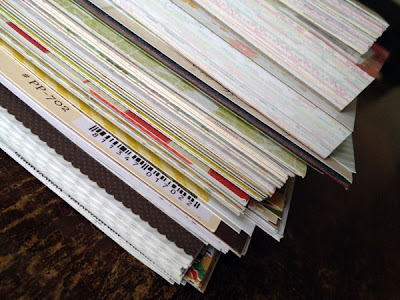 I know it is one of the reasons I scrapbook, because I love my family first and foremost, but almost right after that, comes a love for paper and related stationery supplies. 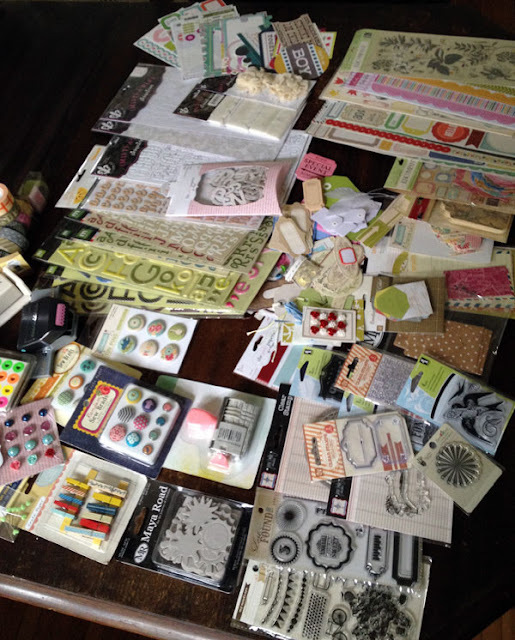 After taking a break from scrapbooking for three-ish years, I am in love with scrapbooking, and scrapbooking supplies again. 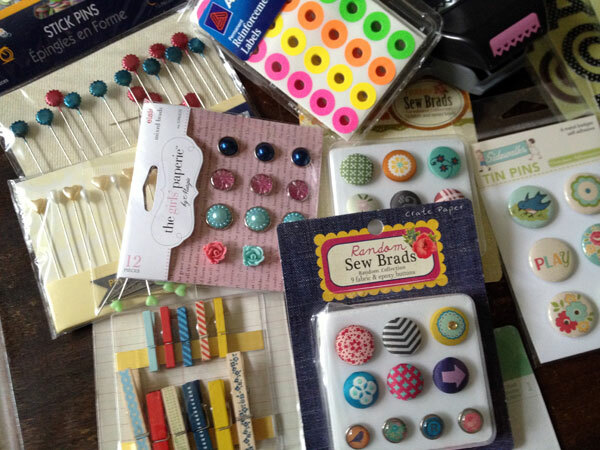 Maybe a little bit too in love, taking a look at the serious influx of supplies over the past week! Two online orders, and a trip to the LSS. In my defence, I LOVE it all!! Items for attaching... clips, pins, buttons, and brads. *Awesome*. Letters. 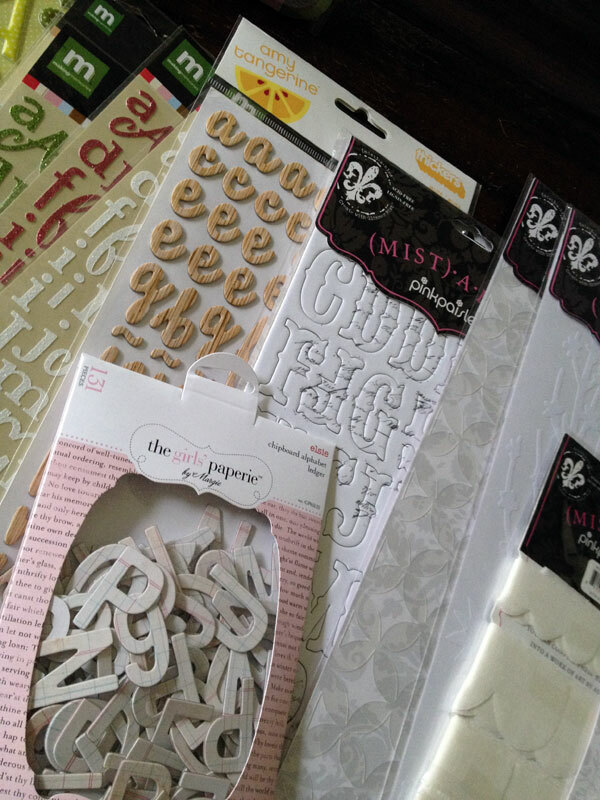 I am especially excited about the woodgrain Thickers and the Pink Paislee Mistable chipboard letters. *Awesome*. Tags and die cuts and great stuff. *Awesome*. Stamps. 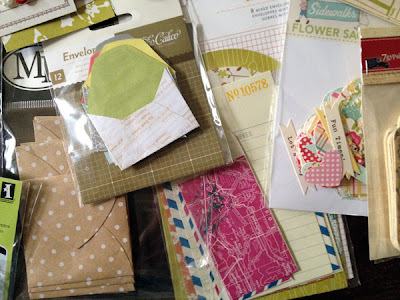 So excited about the MME and those tiny Primas, and the cute little star burst from Fancy Pants, and that great faded label by Jenni Bowlin... *Awesome*. Paper. My biggest weakness, my biggest love. 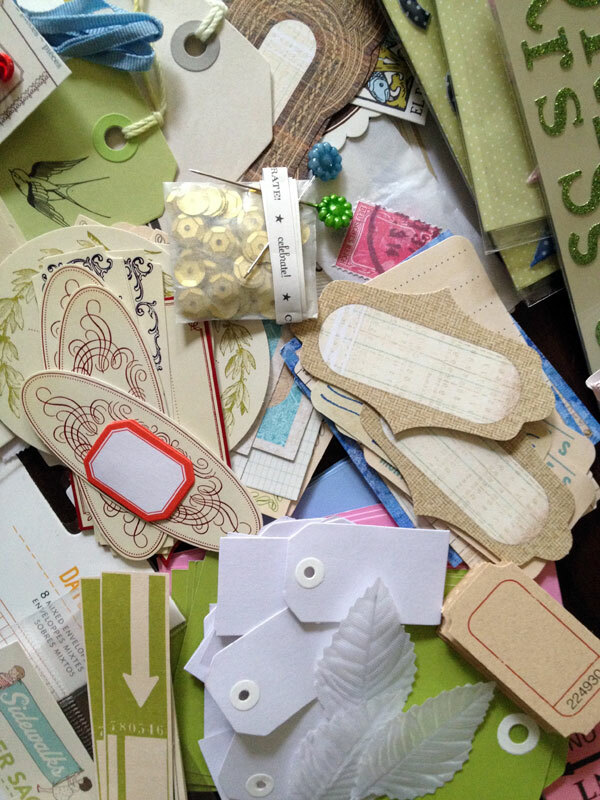 Over two inches of individual sheets, plus three of those sweet little mini pads that are made by everyone now. This fantastic pile of paper has new releases Crate Paper Pretty Party and Story Teller, Cosmo Cricket Baby Jane, Bella Blvd, Echo Park, Dear Lizzy, Authentique, Jillibean Soup, MME, and a few other assorted pieces from collections here and there. I've organized and reorganized all these fab supplies. Have a few layouts on the go or being planned. And just because I think accountability is good and making intentions known helps in meeting goals.. I'm officially trying not to buy any more supplies. Or at least not many. Maybe just a little paper. Ooh, look at all those yummy toys!! It may be a sickness but it's a pretty good sickness to have, right?! It is a pretty sickness! I really don't think there is anything wrong with collecting paper. And, I truly have never spent on supplies like this before! I certainly don't suffer from lack of supplies, but I have never ever gone on a spending spree like this before! It was fun, but not a normal weekly thing! !